The Forerunner has come and gone, leaving a Message, warning the Living Saints to redeem the time, enter into the Revelation of Christ's Second Coming FOR His Bride and the Resurrection and the Rapture. ARE YOU "Looking For That Blessed Hope And Glorious Appearing Of Our Lord Jesus Christ"? Matthew 5:6, Titus 2:13. Be Honest - ARE YOU REALLY looking for it? 1. The Forerunner to the Second Coming of Christ has come and gone. 2. 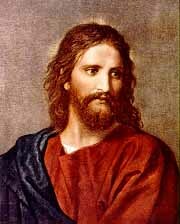 The Lord Himself (as a thief in the night) has descended from Heaven with a Shout (Message), sitting all things in order for the Resurrection and Rapture. LOOK UP! 3. No one can deny that The Day of Vengeance of our God has in reality dawned upon the earth. 4. The world is on the threshold of the Great Tribulation and the Reign of the Anti-Christ - not a politician or the Muslim Religion, but a false impersonation of the True Christ and True Christianity in the form of one of the most powerful and influential religious leaders in the world - The Pope of Rome. 5. 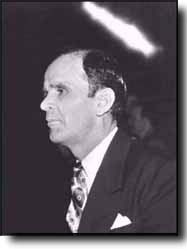 The emphasis on the "Forerunner", William Branham, must now "decrease" and "Christ, the Word" made flesh in His Bride must "Increase" in preeminence in the TRUE Believer's life. 6. The Bible based MESSAGE of the Forerunner must be obeyed. It will create an anticipation of the Resurrection of the Dead IN Christ and give Faith for the Change of the Bodies of only a VERY FEW living Saints. 7. As a "thief in the night" our Lord Jesus will take them into Eternity with Him to escape the full impact of the Fire of God's Wrath that is NOW being poured out upon the earth. 8. As a Vindicated prophet, William Branham, foreran the Second Coming Of Jesus Christ for His Bride, perhaps this present Pope is forerunning the Anti-Christ Papal Authority that will succeed him and RULE the world for a short season. RUN for your life to the Christ of the Bible. REPENT of your sins (unbelief) and Line up with ALL HIS Word that you might escape the deception and damnation of the Age in which we live. COME OUT of those denominational prisons which prevent you from believing the Whole Word of God. Be found at you "Post of duty" praying, worshipping and calling on the HIM: "Even So, COME! Lord Jesus. Amen!" 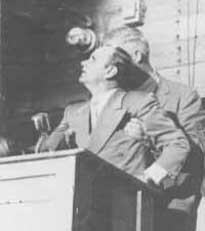 In June 1933 William Branham was baptizing converts in the Ohio River; the Pillar of Fire descended over him, and A VOICE spoke and said: "As John the Baptist was sent forth to forerun the first coming of Christ, you are sent forth with a message to forerun the second coming of Christ." Thus indicating that this man and his Message would "forerun" the Second Coming of Christ. God sent this ministry to "announce" to the True Believer the Second Coming of Christ - hidden from the wise and prudent but revealed to babes, such as would learn. Matthew 11:25. I can assure you that We are not another religion, looking for more members. We're looking for the "Seed" of God who, according to the foreknowledge of God are foreordained and predestinated to be a part of that secret, "as a thief in the night" Coming for His Bride. 1st. Thess. 5:2. THIS IS a direct fulfillment of Bible prophecy. 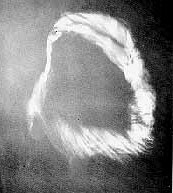 The "MESSIAH SIGN" our Lord manifested in His First Coming was manifested in the Ministry William Branham, the Forerunner, announcing the Second Coming. As John The Baptist screamed "prepare ye the way of the Lord", even so Bro. William Branham screamed out "The Hour Is Here". ARE YOU READY? "My mission, I believe, to the earth is what? Is to forerun the coming Word the coming Word which is Christ." Wm. Branham - 62-0318. Remember, it is written that "in the beginning was the WORD and the WORD was with God and the WORD was God.....and the WORD became flesh and dwelt among us" to redeem us; NOW that SAME WORD is coming in Resurrection and Rapturing Glory to receive His beloved Bride unto Himself. Behold, I will send you Elijah, the prophet, before the coming of the great and dreadful day of the Lord. Malachi 4:5-6. 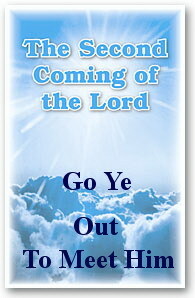 Are you ready for the Coming of the Lord? Are you expecting the Resurrection of the Dead in Christ? Are you anticipating the "changing of your own body" to be caught away with the Resurrected Saints to meet the Lord in Glory, or will you be left to experience the horrors of The Great Tribulation and the Wrath of God. Have you RECOGNIZED the AGE in which YOU live........Or the MESSENGER to that Age? Click on the "SEVEN CHURCH AGES" and "THE LAST CHURCH AGE" links at left to find the AGE in which you ARE NOW living, and the wretched 'spiritual' condition of that Age. "But in the days of the voice of the seventh angel, when he shall begin to sound, the mystery of God should be finished." Revelation 10:7. Our Worldwide Missionary Ministry Besides Our "Ministry Statement" below our ministry extends around the world, providing FREE Books about the prophet and FREE Booklets on Message subjects We also assist Pastors in Africa with financial offerings. ALL of your donations help meet these sincere and genuine needs. The William Branham Home Page is a Non-Profit Christian Ministry Of the Bible Believers Association In (Paradise), St. John's, Newfoundland, Canada; and is wholly funded by the supporters of this End-Time Message. A Canadian Tax-deductible donations are issued for all donations.